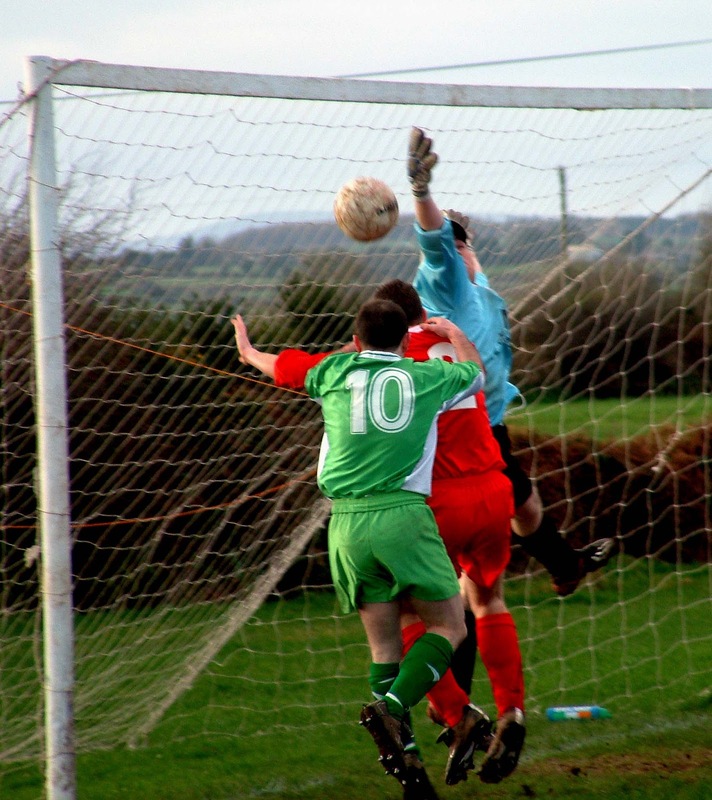 Keeper Stephen Jones was the hero for Maymount Celtic as the Cork side reached the last eight of the Statoil FAI Junior Cup for the first time ever with a 4-3 shootout win over Roscommon visitors Boyle Celtic at Killowen on Sunday afternoon. Jones made a terrific diving save midway through the shootout but the stop he made midway through the final quarter kept Maymount in it. Boyle started with three O'Donohue brothers and introduced a fourth, Mark, as sub. Mark tried a chip from the edge of the box and it looked good for the top corner until Jones sprang to tip it over. It was an earnest rather than a brilliant game. 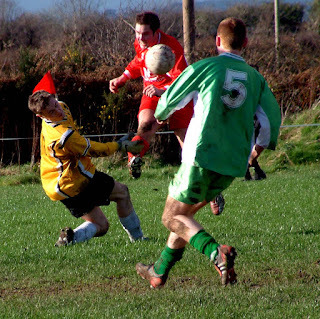 Maymount probably shaded it on chances and were helped towards the end when Boyle had a man sent off, though Maymount skipper Derek O’Driscoll was also off the park for a short while before bravely returning to bolster his team. The Boyle Celtic keeper Darragh Loftus was the busier of the two and also impressed, even though his afternoon got off to the worst of starts. 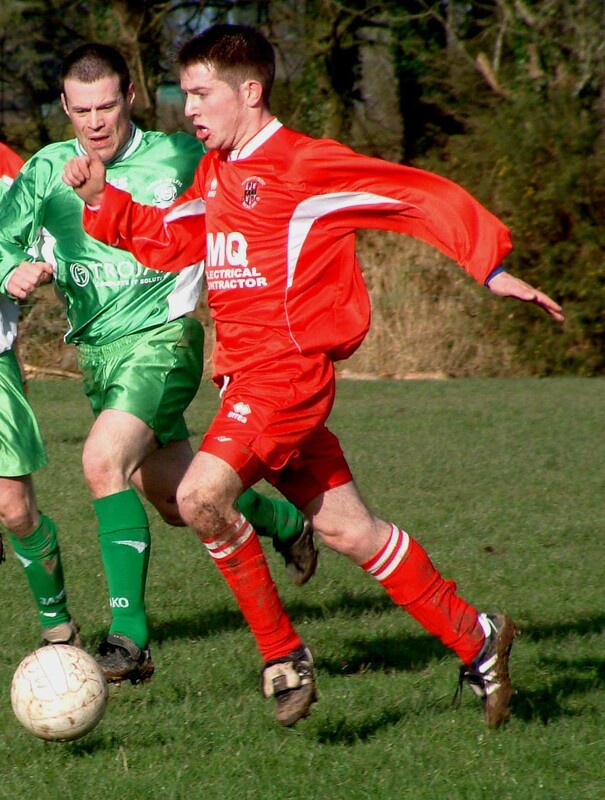 In the 12th minute, he dropped a corner by Damien Morey and Gordon Philpot bundled the ball in to put Maymount in front. 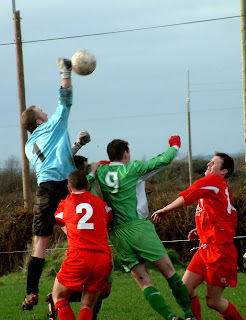 The Boyle players knew Loftus was better than that, he had already saved bravely at Morey's feet, and encouraged him through the bad spell and he responded magnificently and made some five saves, notably a tip over from a Damien Morey free kick. Boyle had started well but without putting anything on target and that trend continued. In the 21st minute, Rory O’Donohue powered through the middle, chased all the way by Steve McAuliffe. O'Donohue got his shot in but it was well over the bar. 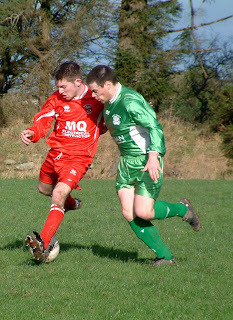 Soon afterwards, Maymount striker Gary Leahy got in to hook the ball over Loftus but Darren Griffin was on hand to tidy up. Loftus’s confidence was back by the 26th minute when he made a fine catch from a Maymount corner and sent Niall O’Donohue away. Niall’s shot was nowhere near the target but the move encouraged Boyle before they suffered another bit of bad luck. That came in the 35th minute when centreback Griffin limped out of the action. Maymount could well have wrapped it up before the break. In the 37th minute, Philpot and McAuliffe combined to set up O’Driscoll but he scuffed his 25-yard shot. Boyle had a big let-off four minutes later. Then Leahy and Philpot converged on a loose ball in the box; Philpot took charge and drove low past the keeper but also wide of the posts. Loftus made a fine save in injury time, blocking the raiding O’Callaghan after Maymount had quickly switched the ball from defence to attack. Boyle again started well after the break and took the game to the newly promoted Cork Premier side and equalised six minutes in. Then Niall O’Donohue, one of the smaller men on the field, climbed high at the far post to head in a great cross from Mark McGovern. The goal woke Maymount up but the visitors were now on a high and creating chances. In the 57th minute, scorer Niall beat keeper Jones to a long ball and played it into the box but missed a colleague, giving Niall Dalton the chance to tidy up. Newly introduced sub Mark O'Donohue worked his way into the box midway through and looked good for a shot until a brilliant tackle by Jonathan O'Callaghan. The subsequent corner was half-cleared and quickly returned and Maymount were lucky that Paul Simon's diving header was not on target. Lady Luck was smiling on Boyle in the 69th minute. 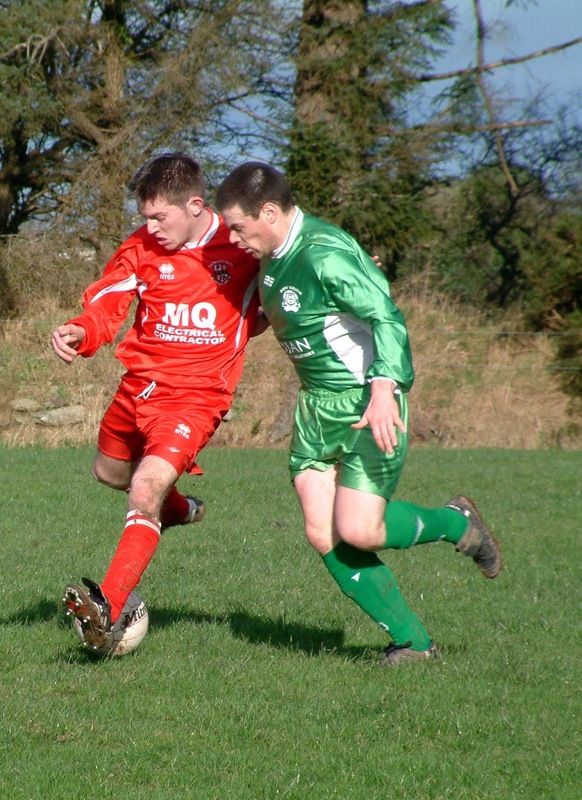 Then Maymount midfielder Steve McAuliffe raced in after a Niall Dalton clearance. 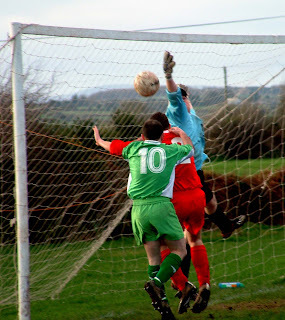 Keeper Loftus advanced but the Maymount man got there first only to put his header inches wide of the angle of bar and post. Maymount were now forcing the issue but Boyle were still very much in it as sub O’Donohue illustrated with the daring chip, so well turned over by Jones in the 79th minute. Soon the action was back at the other end. A good spell of Maymount passing, Corcoran, Dalton and O’Driscoll all involved before Leahy cut into the box only to find keeper Loftus at his feet and winning the ball. Maymount had a little edge at this point and more good play saw Dalton get in for a cross. He found Leahy but his header was disappointingly high. 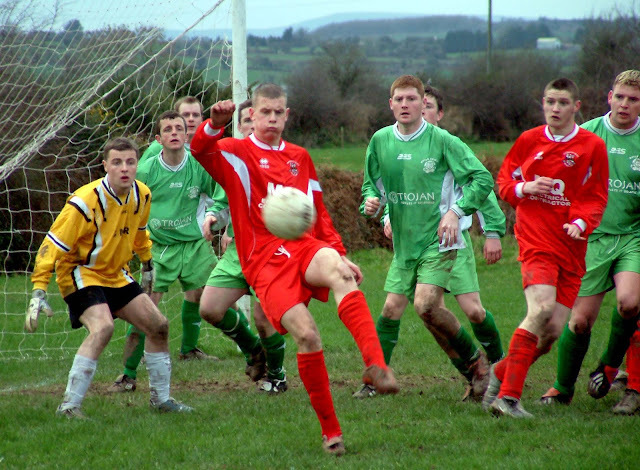 In the 85th minute, Maymount sub Howard Coakley crossed; the ball looked good for Leahy until Loftus intercepted. Maymount lost O’Driscoll briefly when he pulled up injured in the 86th minute (they had used all three subs) but Boyle were stunned three minutes later when National League referee Anthony Buttimer, who stepped in at short notice after the original ref Gene Stephens picked up an injury on Saturday, gave a Boyle sub his second yellow in quick succession. Boyle were crowded out in the 3rd minute of extra time. Then a free by Rory O'Donohue broke in the box and there were a couple of headers and a shot by Niall O’Donohue blocked as Maymount defended in force. Jamie Meehan hooked a 7th minute corner into the Boyle box but there was no colleague in support. Boyle rode their luck in the second period. In the 3rd minute, an O'Driscoll ball was missed by the defence and sub Howard Coakley got in but the U16 player saw his shot parried by Loftus. And it was Loftus to the rescue again three minutes later, saving Niall McCarthy’s shot at close quarters with his legs. Maymount almost got in for a last kick winner. O’Driscoll, playing well despite the injury, combined with Leahy whose cross looked good for Coakley, another U16 ace, until Sean Duignam made a great interception. The shootout started well for Boyle and they led 1-0 after the first exchange. 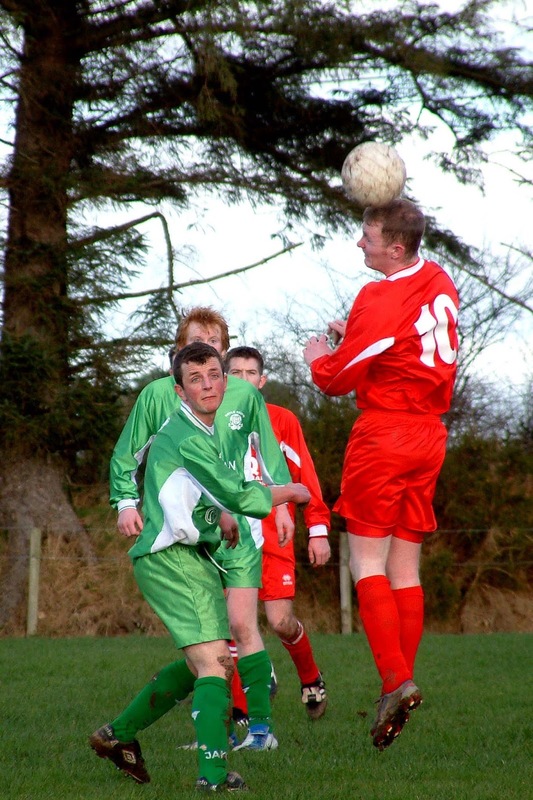 The lead didn't last long; Jones saved well from Niall O’Donohue in the second round. It stayed level until the fifth exchange; then Boyle sub Liam Conroy drove wide and Maymount full back Damien Hamilton stayed cool and beat Loftus to send the Cork wide through to the last eight. 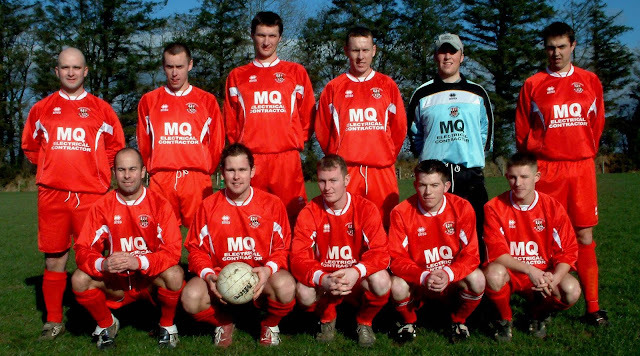 Maymount Celtic: Stephen Jones, Conor Corcoran, Damien Hamilton, Ray Murphy, Jonathan O’Callaghan, Niall Dalton, Steve McAuliffe, Derek O’Driscoll, Damien Morey, Gary Leahy and Gordon Philpot. Subs used: Niall McCarthy for Murphy (52nd minute), Howard Coakley for Philpot (67th) and Jamie Meehan for Morey (82nd). Boyle Celtic: Darragh Loftus, Brian Supple, Michael McHale, Darren Griffin, Sean Duignam, Raymie Monaghan, Owen O’Donohue, Rory O’Donohue, Mark McGovern, Niall O’Donohue and Paul Simon. Subs used: Mark O’Connor for Griffin (36th minute, injured), Mark O’Donohue for Monaghan (59th) and Liam Conroy for Simon (86th).